I am in love with my crockpot, but for some reason I hadn't done much with seafood in it yet. 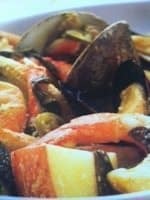 I recently ran across some great crockpot seafood recipes & just had to share them with you. Which one do you plan to try first? 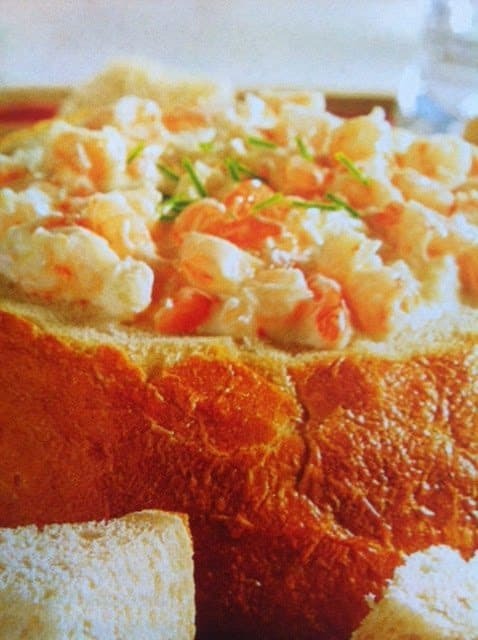 Creamy Seafood Dip – Pepper jack cheese, crab, shrimp, and heavy cream – This creamy seafood dip served in a bread bowl definitely doesn't count as health food, but it is a quick crockpot recipe that looks divine! 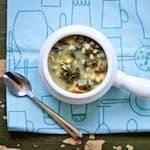 Crockpot Seafood Bisque – This is a creamy crockpot shrimp and crab soup that is easy to make ahead and freeze for an easy dinner! 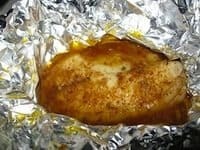 Fish in the Crockpot – Cooking fish in the crockpot is such a simple way to make sure it stays nice and moist. 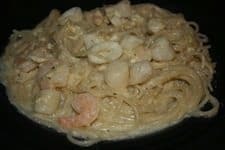 Crockpot Seafood Alfredo – Definitely take the time to read the comments on this as there are great tips on how to avoid lumpy sauce, gluten-free pasta tips, and more! 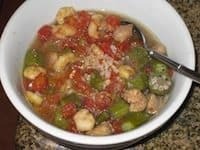 Crockpot Gumbo – This is an easy gumbo recipe with a few different meat combinations you can do. I'd leave out the chicken, use veggie broth, and increase the sausage & shrimp. 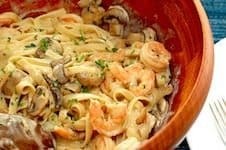 Crockpot Mushroom and Shrimp Pasta – This is a very simple recipe that actually adds the pasta to the crockpot at the beginning! 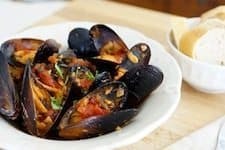 Easy Mussels in Tomato Basil Wine Sauce – I'm definitely going to use her sauce tips for a few recipes. Have you ever had mussels? I've had them, but never cooked them myself! 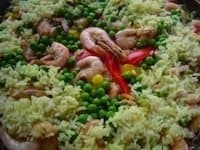 Crockpot Seafood Paella – This seafood paella features shrimp and salmon! It's a very affordable dinner packed full of flavor! Coconut Seafood Stew – Shrimp, crab legs, mussels, and clams join together with coconut & curry in this delish slow cooker recipe. Plus it's gluten free! 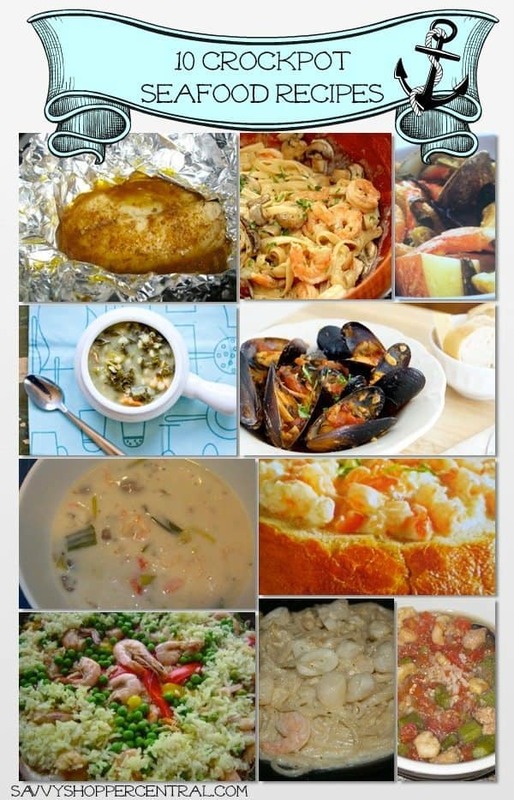 Which crockpot seafood recipes left your mouth watering?